One-man industrial doom dealer, Tristan Shone, otherwise known as AUTHOR & PUNISHER, will again drag his steel through the highways of North America as direct support for Weedeater. The latest trek serves as the second leg of a tour that’s already trampled its way through seventeen cities. The journey, presented by MetalSucks, kicks off tonight May 6th in Columbia, South Carolina, and will stretch through May 27th. 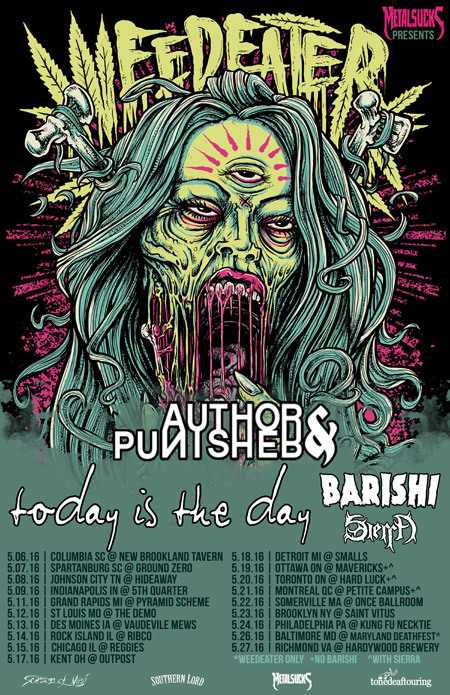 Additional support will be provided by Today Is The Day and Barishi on the US dates and Sierra on the Canadian stops. AUTHOR & PUNISHER, named, “one of the most prolific acts in aggressive music,” by Noisey, continues to tour in support of latest full-length Melk En Honing, released last year via Housecore Records. The record was listed among Decibel Magazine’s Top 40 Albums Of 2015 and continues to astound listeners globally. 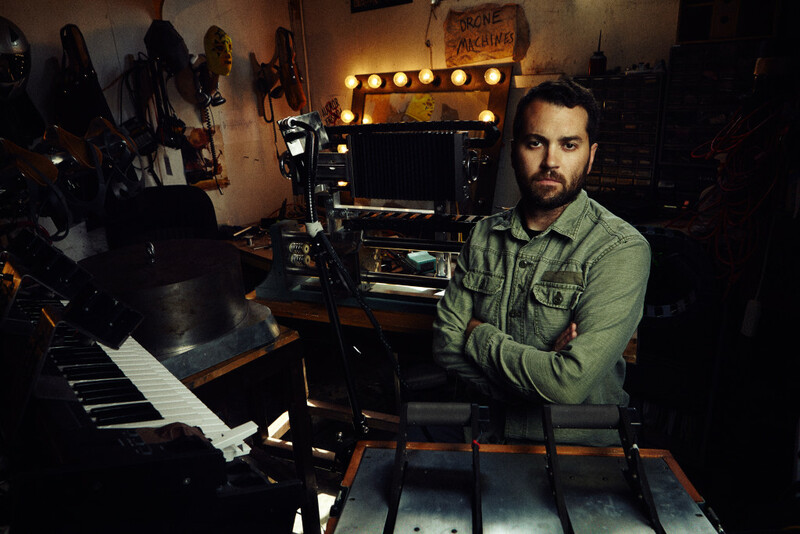 The custom devices that drive AUTHOR & PUNISHER begin mostly as big chunks of aluminum and steel that are worked into all manners of wheels, throttles, pedals, and masks to manipulate sound in the live setting. Shone’s electromechanical arsenal and physical approach to live production has become to heavy music what Survival Research Laboratories was to live, unscripted performance art. 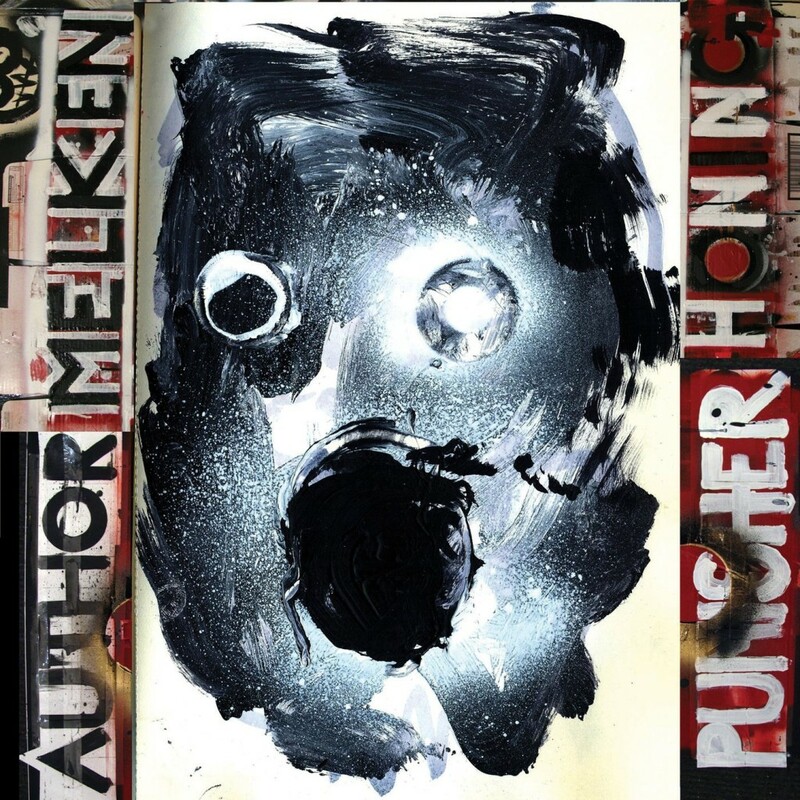 AUTHOR & PUNISHER’s Melk En Honing is available now via Housecore Records. Order your copy today at THIS LOCATION. For AUTHOR & PUNISHER coverage contact liz@earsplitcompound.com.